Speed against competitors is just one of the key lessons outlined in this book from Lars Tvede and Peter Ohnemus. E-business is here for good and people are waking up to the fact that traditional marketing techniques may not stand up to new requirements set out by the „new economy“. The question is, «which of the traditional techniques still work, and which techniques need to be revamped?» The authors outline marketing strategies that use traditional methods where appropriate but, where required, introduce new techniques. These techniques are part of a new, distinctive school of thought in marketing – the ‚Digital School of Marketing‘. The Guru Guide in Marketing - on listing Lars Tvede as one of the world’s 62 leading thinkers on marketing. „My first personal venture into marketing came with the launch of a wholesale cookie trading company with one of my friends. We did this in our early twenties to fund our university studies. We ran it from home, but managed to get Denmark’s largest supermarket chain among the steady clients. They ordered some containers from time to time; it was fun and we made OK money on it. In all honesty, it was my friend, Jan Grube, who did most of the work. I published my first marketing book at age 27. The idea come some years earlier, as I studied at the Copenhagen Business School and found many text books too long and theoretical for my taste. 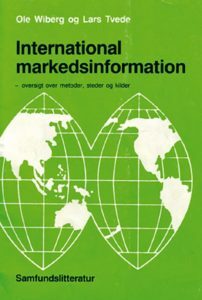 I had a full time job in the Danish Agricultural Marketing Board at the time, taught marketing under the auspices of the Danish Marketing Association and Danish Economists Association during weekends, so I didn’t have much time to read very long textbooks. I got an additional part time job as external professor at the Royal Danish Veterinary- and Agricultural University the year after and wrote a 200-page book about economics for my students; a task I enjoyed. 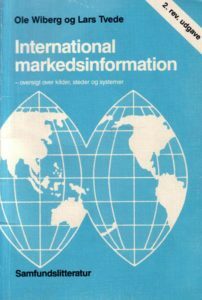 The year after I called the institute leader at the Copenhagen Business School, Ole Wiberg, and asked if he would co-author an ultra-condensed, down-to-the-earth book about international marketing research. He agreed (a bit to my surprise), we did it, and it became a real hit. 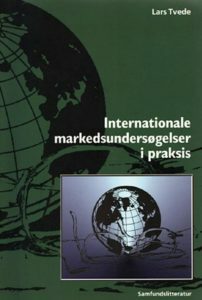 A number of revised editions followed over the next 15 years, and these remained mandatory reading on most Danish technical and business schools for as long as we made them. 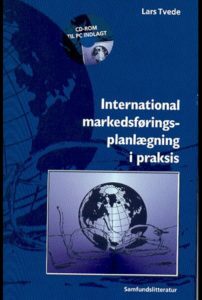 Soon after, I published a new book about international marketing planning, and this did even better. It was updated with a number of new editions over the years. 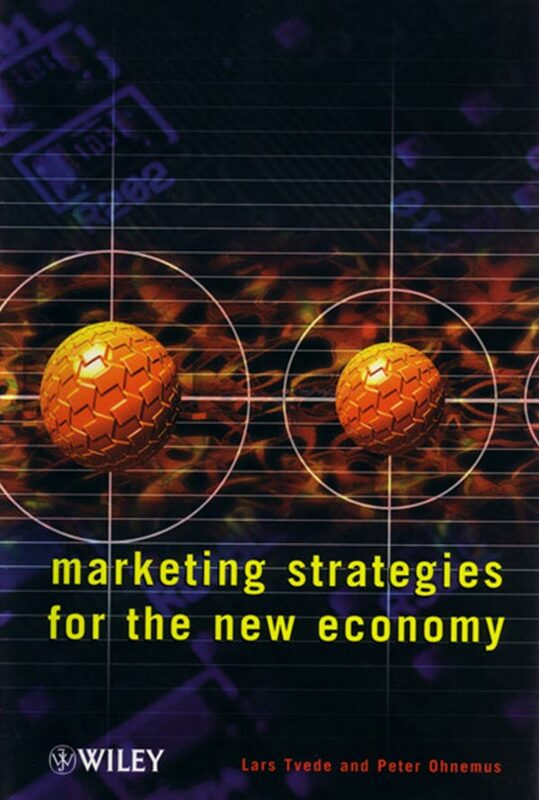 My next marketing book was written with my business partner, Peter Ohnemus, in 2001. Peter is a great friend and always fun to work with. A serial entrepreneur, he was awarded Swiss Entrepreneur of the Year in 1999 and is a board member of Rothschild’s Bank. 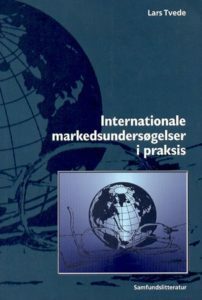 One day in year 2000 I mentioned to him that I had drafted a manuscript for an English language book about international marketing a few years before, largely based on a new approach to the «marketing audit» and to «value zones». I told him I hadn´t had time to finish it, and that I thought it could form a basis for a book about marketing strategies in information technology, where we could develop a new, coherent school of thought called «The Digital School of Marketing». Peter was thrilled, and we finished it rather quickly, largely typing it on airplanes between Zurich, London, New York and San Francisco and emailing thoughts forth and back. We only ever had a single face-to-face meeting about it during its creation – we were just never in the same place, even though we worked from the same office. I was later listed as one of the World’s 62 leading marketing thinkers in The Guru Guide to Marketing. That might be an overstatement, but there isn’t anything important I would change in the book today, expect for its title. Now I would call it Marketing Strategies for the Digital Economy.